Welcome Badge - I'm Gonna Stand Up! You earned the "I'm﻿ Gonna Stand Up!" Welcome Badge! Print the BLUE badge below and save it for your I'M GONNA STAND UP collection. Then, please take a few moments to register for "I'm Going to Stand Up!" by filling in the form below the badge. You'll be able to earn MORE special badges! NOTE: You may still participate in "I'm Going to Stand Up" if you do not formally register, but we'd love to know a little about you! 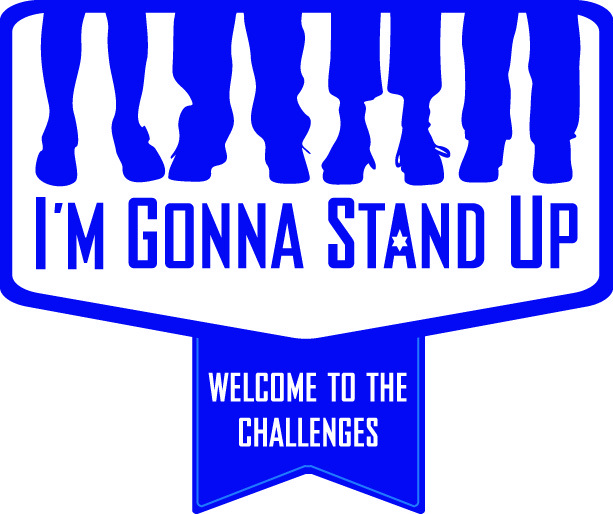 Register for "I'm Gonna Stand Up!" In a synagogue program. In a Jewish day school. In a Jewish youth group. In a Jewish camp. At home or with family On the computer. At a part time program in the community. You may give the email of a parent or teacher.